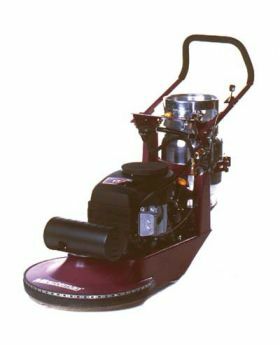 Minuteman Mirage Kawasaki Propane Burnisher has the ability to cover up to 35,000 square feet per hour results in a floor that is more resilient, more lustrous, and durable with time. Features greater pad pressure and a 3600 rpm engine. The Propane Burnisher includes a 28" pad size for efficient burnishing and a 17 hp air cooled Kawasaki motor. Provides maximum power and pressure for the deepest shine. Perfect for use in markets such as Hospitality, Institutional, Industrial, and Retail.